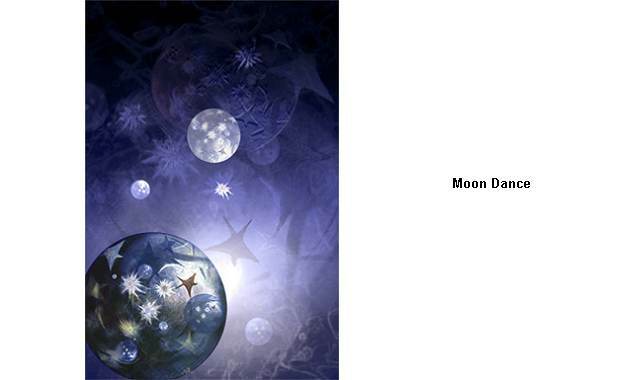 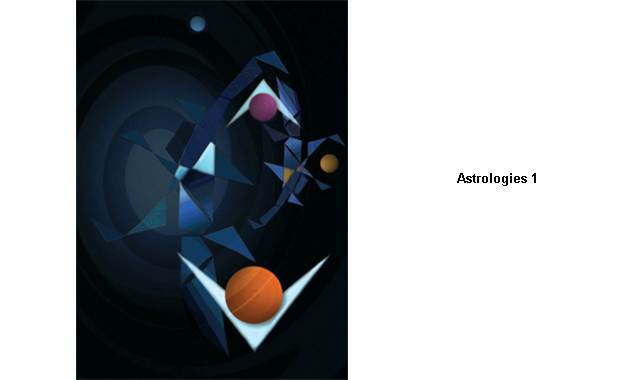 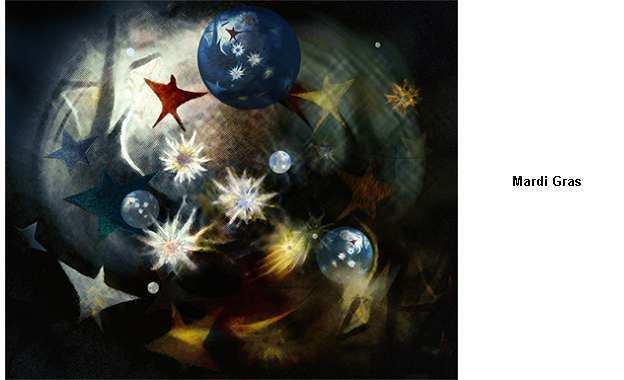 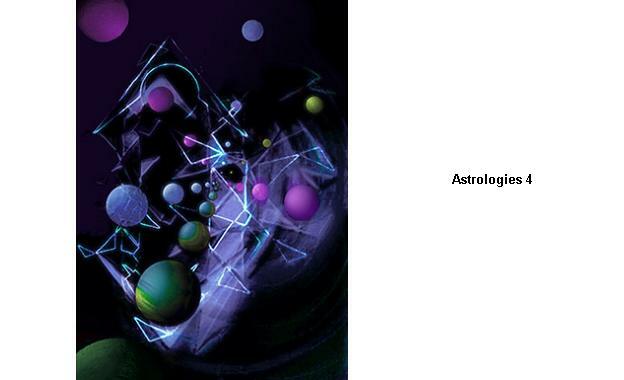 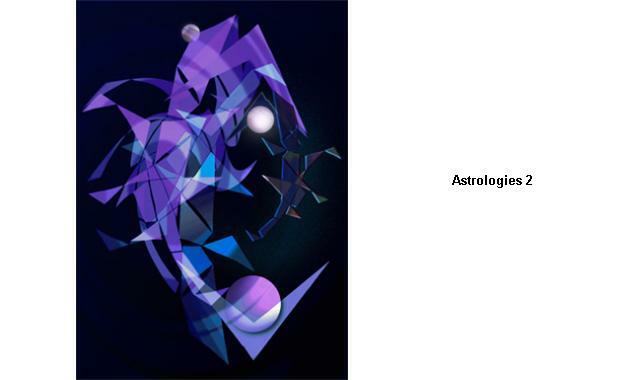 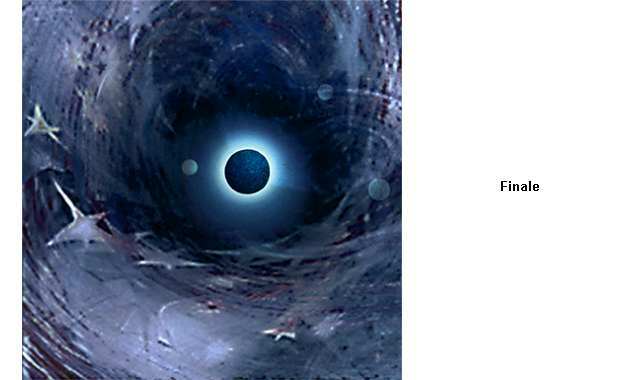 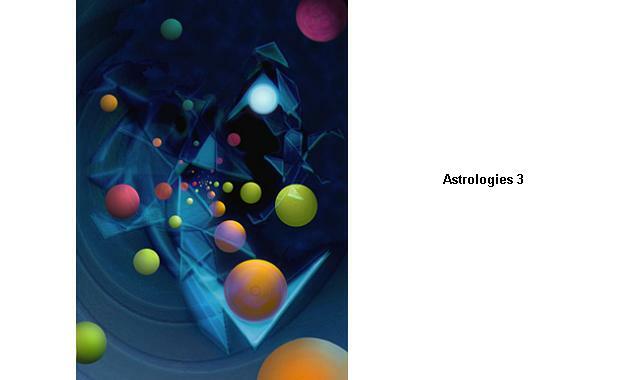 Astrologies: Look carefully and you will find unifying motifs carrying from one painting to the next. 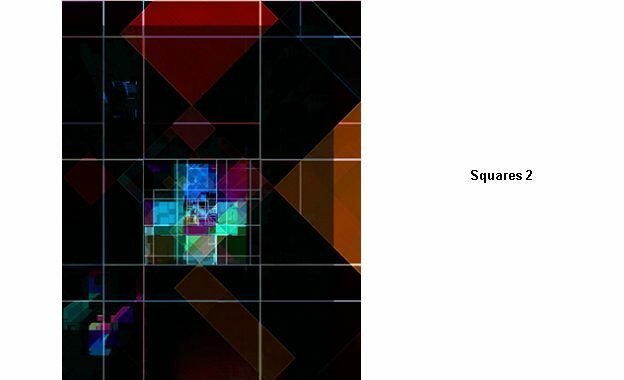 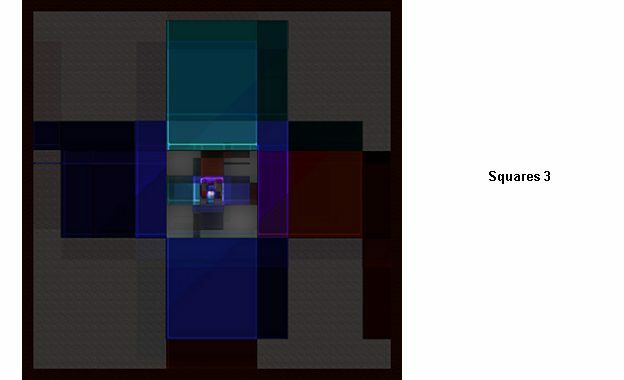 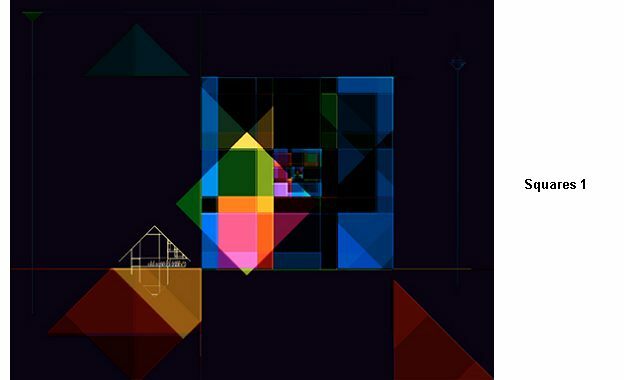 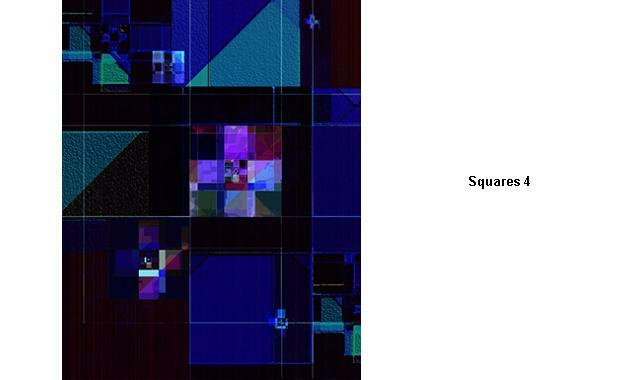 Lines and Squares: These all come from an original design composed of nothing but squares. 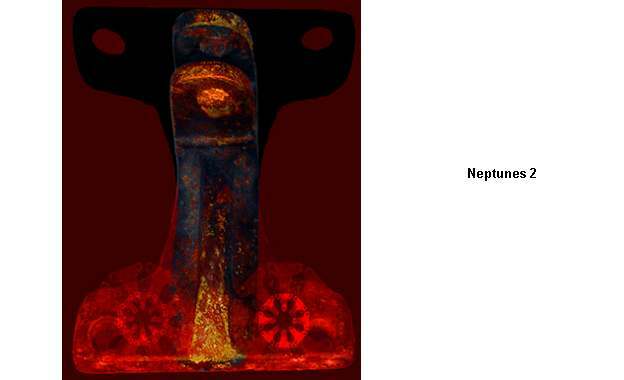 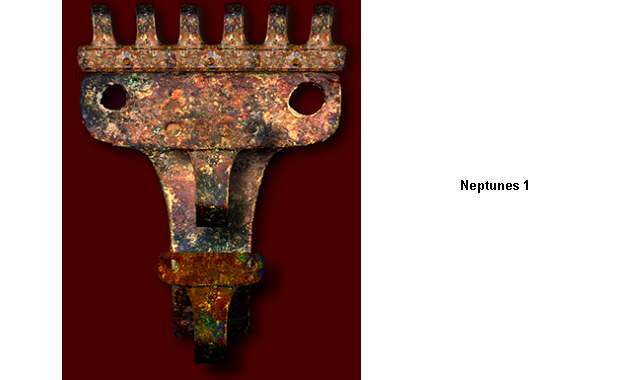 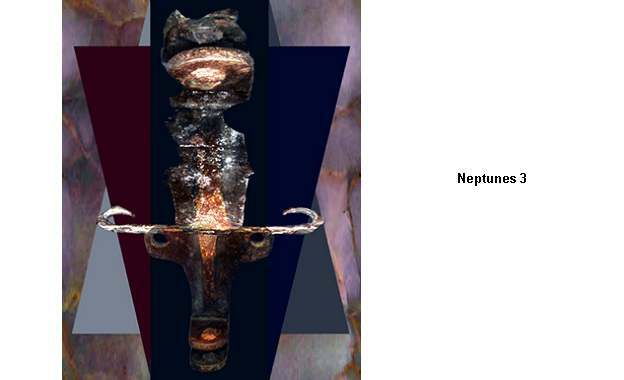 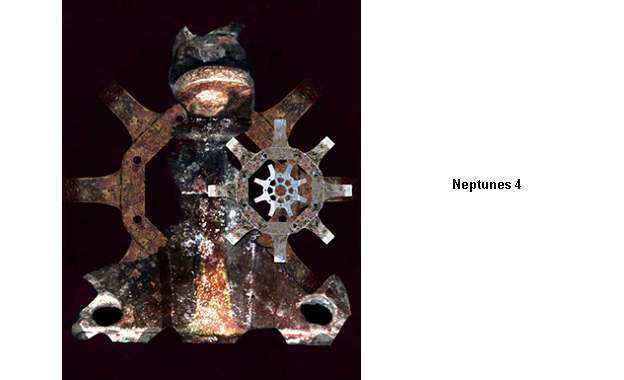 Neptunes: Just one motif here - a piece of ship's hardware, scanned. 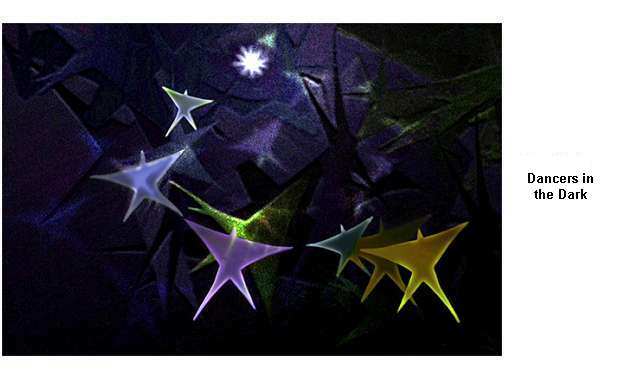 StarDancers: My very first experiments with digital art that draws upon techniques I use in creating electronic music.